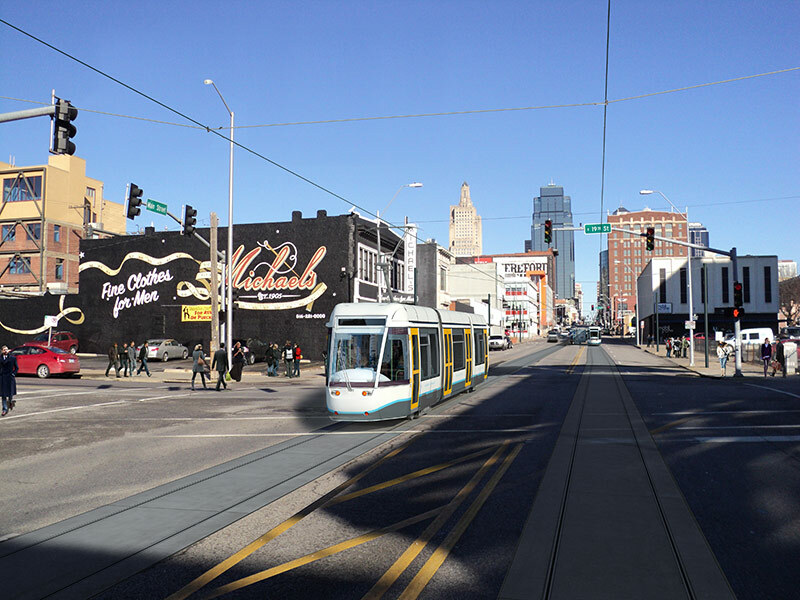 Nearly 55 years since Kansas City, Missouri’s original streetcar system ended service in 1957, voters in downtown Kansas City in December 2012 approved a ballot measure to fund a new modern streetcar. The vote will raise approximately $100 million in new taxes over 25 years to fund the two-mile system from downtown’s River Market to Union Station along Main Street. “This community understands that we are competing for the mindshare of a mobile generation that is looking for livable, walkable, and sustainable neighborhoods,” said David Johnson, co-founder of the influential advocacy group Streetcar Neighbors. After nearly two decades of failures and false starts for rail transit in Kansas City, rail advocates and local government jointly backed this targeted approach to create a starter line. The taxes include a 1-cent sales tax, an assessment on residential and commercial properties, and a parking assessment on all public surface parking lots. The great untold story of this whole campaign, according to Johnson, is the disincentive this vote puts on surface parking lots. The $100 million will pay mostly for debt service and operating costs for the life of the tax. The remainder of the proposed $125 million project will come from the city, an $18 million federal grant, and $4.5 million in water utility contributions. The vote came after a similar mail-in ballot initiative last summer approved the creation of a Transportation Development District (TDD). Under Missouri State law, TDDs may be approved by a majority of registered voters within the proposed boundaries. The election to create the TDD and then tax it attracted approximately 600 voters. “The downtown community has had a demonstrated interest in transit in every election on the issue from the very beginning,” said Kansas City Councilwoman Jan Marcason. The success of the vote has propelled a second rail-transit proposal into the limelight that will develop a $650 million commuter rail system in Jackson County, Missouri, with expanded bus service and new trail developments that tie the suburbs to downtown. 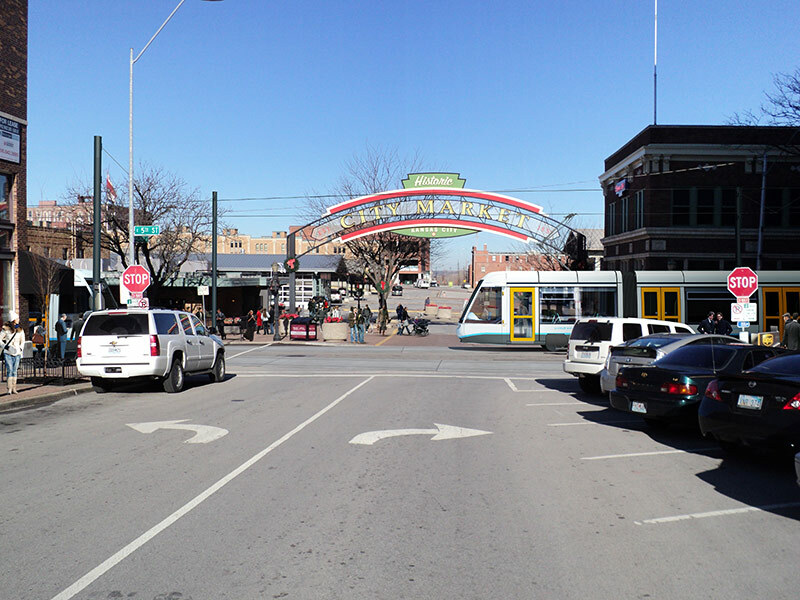 Additionally, a study is already under way to expand the starter line down Main Street to Midtown, Westport, and the Country Club Plaza, and on to the University of Kansas City, Missouri; also under consideration is a proposal for new feeder lines that would operate east-west on Independence Avenue and, potentially, 12th and 18th streets. 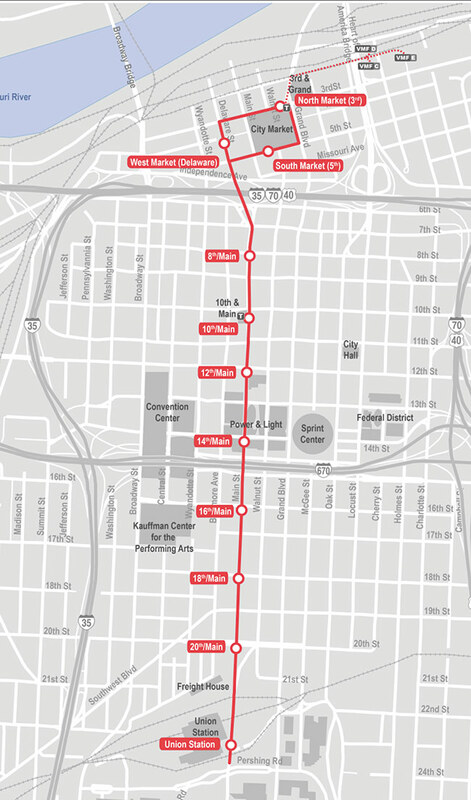 The city intends to begin construction of the downtown streetcar this year, with an anticipated completion date in 2015. Omaha, Nebraska-based HDR was selected shortly after the vote to design the project.